Stanford has a lot of events about women. Conferences on women’s empowerment, discrimination in the workplace, women in research, increasing women’s participation in politics, the list goes on. All these events address ways in which women are marginalized in society. However, missing from these discussions is a careful examination of the root cause of women’s oppression today. Are men just naturally superior to women? Will equality before the law guarantee the liberation of all women within society? Will more women in leadership lead to women’s liberation? 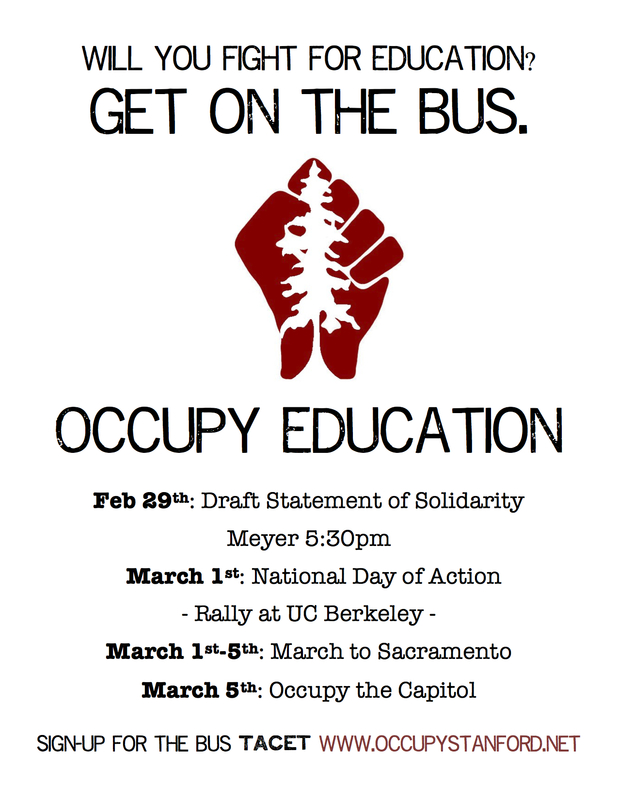 Go to Berkeley on March 1st. March 1st is a Thursday. It is a Thursday dangerously close to the end of the quarter. I know that you probably have class or work or other important things going on that day. Nevertheless, I ask that you set them aside, if you can, and go to Berkeley. You may think that you going to Berkeley means nothing and does nothing to further the cause of public education. I understand your hesitation. I challenge you to go anyways. If you go and are absolutely unmoved or unchanged by the experience, then you spent a Thursday off campus. I predict that you will not be disappointed.